Darren is a senior healthcare executive specializing in health system transformation, innovation and healthcare modernization. With twenty years of experience in managing the introduction and adoption of healthcare innovation in both the public and private sector, Darren has developed a unique understanding of North American and international healthcare systems, their stakeholders and their drivers of change. Darren has worked extensively with local, regional, provincial, state and federal providers and governments to provide strategic guidance and operational management for key healthcare, eHealth and mHeallth initiatives involving complex, multi-stakeholder change. Darren is an Ontario Centres of Excellence Executive in Residence for start-up health technology companies. 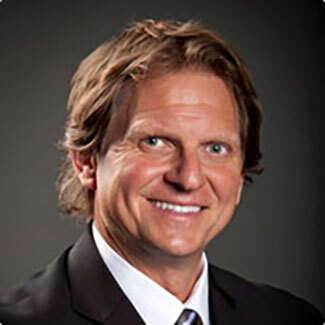 He has held key executive positions as Vice President, Professional Services and Telehealth Lead at TELUS Health Solutions, Vice President Professional Services at Emergis, National Health Sector Practice Manager for Strategic Relationships Solutions and Director of Business Developmen for Telehealth Ontario and Telecare New Brunswick. He is the former President and Chief Operating Officer for ConstructMED, Canada’s leading provider of nursing teletriage and medical management to the Construction industry in Canada, and Director of Operations for Columbia Health Care and Liberty Health’s International Managed Health Care. Darren holds a Master of Business Administration (specializing in Health Services Management and Health Policy) and Bachelor of Science degrees from McMaster University, and a diploma in Media Relations from York University’s Schulich School of Management.